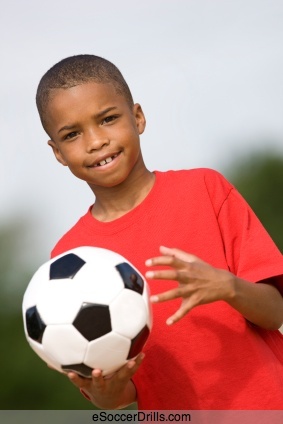 Youth soccer drills, above all else, have to keep athletes engaged. These drills mean more than just teaching athletes how to perform skills proficiently. They are also lessons in mental toughness, perseverance, and attention to detail. Coaches should work to use drills that will push athletes both physically and mentally to become better players. including improvement. However, drills that are interactive and changing challenge athletes as well, encouraging them to work together as a team, anticipate moves from the opponent, and communicate effectively in order to achieve success. Youth soccer drills should have a component of truth to them so that athletes know what they may face in a competition. This drill includes two offensive players and one defensive player. The two offensive players must get the ball around the defender. The defender must stop the offensive players from gaining more ground or going around them. The goal for the defender is to steal the ball. To perform this drill, coaches must first teach strategy. The offensive players must know how to read each other and work together for success. The defender must learn to read the offensive players and anticipate their next moves, allowing him to take control of the ball. For this soccer practice drill, the coach drops the ball in play to one of the offensive players. The players have three minutes to achieve their goals. The drill should start near one end of the field, with the offensive goal being to reach mid-field. The defender’s goal is to keep the ball as close to the starting point as possible. This youth soccer drill starts with two defenders in the middle of a circle of attackers, or offensive players. The attackers work to keep possession of the ball, while the inside defenders work to steal the ball. If an attacker kicks the ball outside the circle or allows a defender to gain possession, that person becomes a defender. This drill is perfect for teams of all ages, as it focuses on passing, defending, and the mental side of defense. Players have to anticipate the attackers’ next moves and try to stop them in order to get out of the circle. For the attackers, they must keep their thoughts to themselves and not give anything away, so the defenders will have nothing to anticipate. Youth soccer drills must challenge athletes mentally and physically in order to truly prepare them for competition. 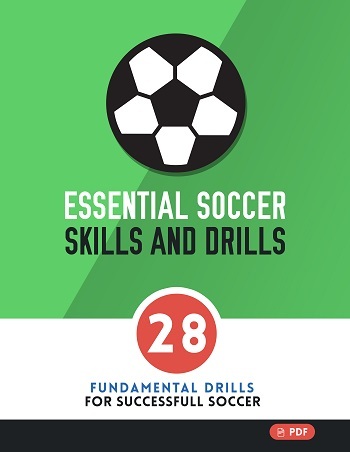 The drills provided here encourage athletes to work together for success, read an opponent’s next move, make strategic decisions in order to keep or get possession of the ball, and communicate with teammates. By working together, athletes build social skills as well as soccer skills.